Patellofemoral pain can be thought of where pain is present in and surrounding the tissues between the patella and the femur. 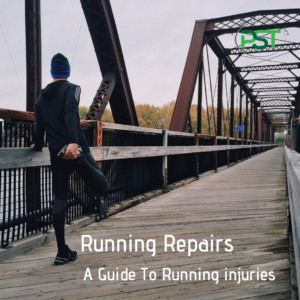 The cause of the pain can be something of a mystery as it rarely develops quickly and isn’t the result of a traumatic incident the way a ligament tear is. The symptoms are often made worse by, though not exclusively, activities like squatting, lunging, kneeling, going down stairs or running downhill. In-other words relatively high load activities that put a lot of stress on or through the area. 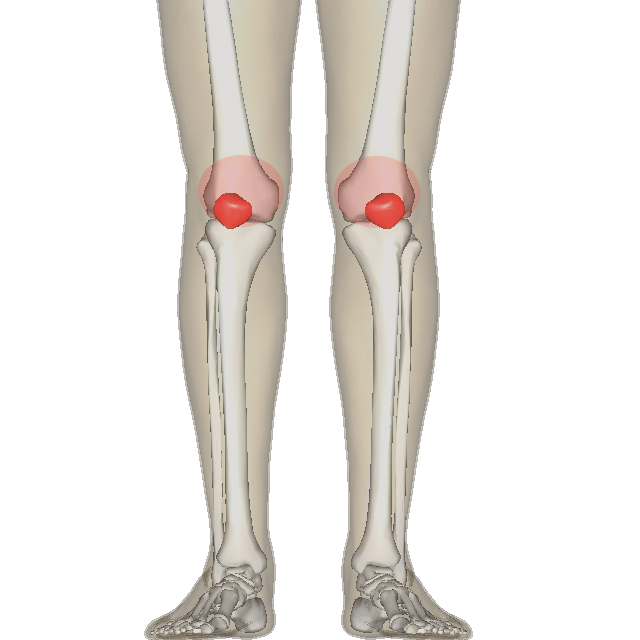 in addition to this sitting for long periods where the knee is flexed can also cause the symptoms to get worse. If we look at the anatomy of the area the patella itself sits in a groove in the femur and the quads attach to it proximally and the patella tendon distally, this attaches it to the tibia. The patella acts as a pulley transmitting the force developed by the quads via the attachment to the tibia through the patella tendon, the imporatnace of the patella can be seen in the video below. 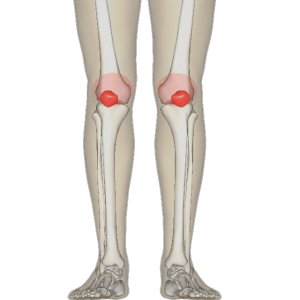 The pain is most often experienced around the front of the knee either over the patella area, around where the quads attach and along the joint line. Outside of this area and we are likely talking about another problem. The first step in dealing with the problem is rest. This doesn’t need to be complete rest but a sufficient reduction in load to allow things to calm down. This is followed by looking into what is causing the problem, mechanical fault, sudden increase in training load etc. We then want to begin the rehab process so as to address the cause be it strengthening the area, and other related areas if required, then working on any movement patterns that might help. This is then followed with a gradual increase of the training load at a rate that is tolerable so as not to make things worse again. Looking at potential causes it can be difficult to pin down one in particular but perhaps the most common problem running across different sports and activities is that of increasing training load too quickly. Increasing intensity and/or volume too quickly are two very common training mistakes and are often implicated in the onset of patellofemoral pain. Whilst sudden increases can be the cause even more gradual increases that take you out of your ability to adapt can be a problem, more slowly developing issue where the increase in training load isn’t severe though sufficient that there isn’t enough time for full recovery between sessions and this is where the improtance of ensuring sleep and nutrion are dialed in well, or where poor movement creates a problem and the issue is one of increased mechanical stress. As such a gradual increase in volume and intensity is always recommended in any training plan to allow tissue to adapt. 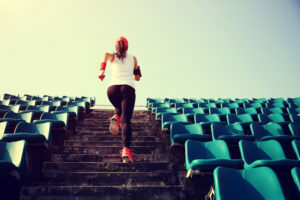 Over enthusiasm can really bite you if you decide to sudden ramp up the hill runs as a runner or decide that you are going to pour yourself into the Smolov Squat program without first building up to either the increased intensity or volume that is required. Where there have been no noticeable symptoms prior to the change in training load then simply resting and using a gradual return may be enough to deal with the problem, the caveat being that the problem is addressed early enough and it is always a good idea to get things checked out so that appropriate advice can be given. During the initial period whilst there may be a need for complete rest in the most severe cases for most a reduction in any activity that increases symptoms is the course of action. Reducing the activity to a level where they are not causing the symptoms to get worse and allowing training to continue is a more effective way to help resolve the pain. For the runner this may mean a reduction in the number of days spent running, a reduction in the distance run on the days when running and dropping hill runs and speed sessions. For someone like a weightlifter this might mean a drop in the percentages used along with a reduction of the daily volume, if still sticking to normal training frequency, or if workout frequency is dropped then higher percentages and daily volume may be possible as there is more recovery time between sessions. In both cases some trial and error is likely to be required to find the balance in overall volume, intensity and frequency that allows for a manageable training load that permits sufficient recovery that the training load doesn’t increase symptoms. As always it is better to start with less and slowly built back up. Muscle weakness is another possible area that can be related to PFP and the quads and glutes, mostly glute medius, being the two often seen to be weak. These two are common issues for the runners due to the lack of any strength training in their program. A general well rounded program trumps the need for specific exercise that might address the strength issues in a rehab program and is another good reason for endurance athletes to include a strength session or two in the training week. For a runner who includes lifting in their program this may be less of an issue as but the addition of single leg variants can really come into play in helping ensure that the benefits that these exercises an confer is not missed out on. Poor movement control is another possible factor in PFP. It has been seen that those with patellofemoral pain have been found to have lower trunk isometric strength and more ipsilateral trunk lean, hip adduction and knee abduction when performing a single leg squat in a study that compared those with patellofemoral pain and those without. But having identified these issues all we can definitely be certain of is that those who were in pain had different movement patterns than those with no pain which is something you would expect to see and is consistent with pain science research,. The big question is which came first for which we don’t have an answer to for the moment. In terms of addressing these issues it is again more about ensuring that a well rounded strength training program used rather than over emphasising any particular exercise. In the short term of rehab it is about finding which exercises can be used and at what load so as to improve function without increasing symptoms. Finally, poor range of movement and muscle stiffness can be an issue even when a lot of other issues are addressed. Many people have sedentary jobs and whilst they exercise regularly they don’t get a lot of general movement through the day and rarely take the knee and hips through much of a range of movement outside of the gym. Whilst it may be another chicken and egg scenario sitting for long periods does bring on the symptoms. In the next part we’ll look at what might be done to help rehab and manage the pain. I’ve been having knee pains for a while now. It is usually only when I try to run or bend down with them. This article was super helpful for me because I finally now understand why I am having pains. Thanks for sharing this! Previous PostPrevious Posture; Is it really that big a deal?